Ball makes arrangements to be picked up at the train station. 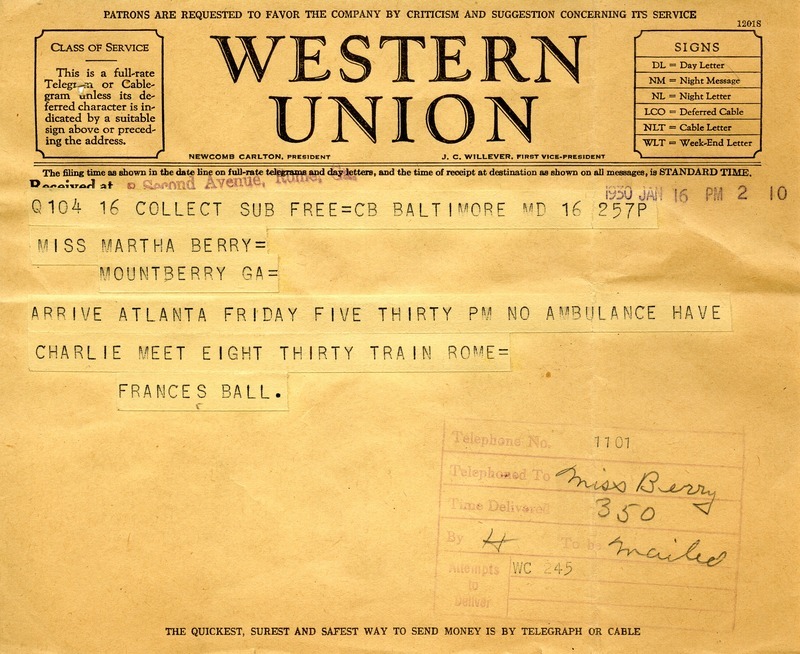 Frances Ball, “Telegram from Frances Ball to Martha Berry.” Martha Berry Digital Archive. Eds. Schlitz, Stephanie A., Sherre Harrington, et al. Mount Berry: Berry College, 2013. accessed April 24, 2019, https://mbda.berry.edu/items/show/11485.